Dan Olivett was a poster child of health. A championship golfer, Dan was active, watched his diet and exercised every day. Then, he had a transient ischemic attack — a mini stroke. And that, he says, was the beginning of everything. Following his stroke, a local hospital team discovered Dan had heart failure. Shortly after, he turned to Northwestern Medicine Bluhm Cardiovascular Institute for heart failure treatment. Within days, he was admitted to Northwestern Memorial Hospital for an expedited work-up. Cardiologist Kambiz Ghafourian, MD, MPH, diagnosed Dan with amyloidosis, a fairly rare disease in which the liver produces an abnormal variant of a certain protein that builds up in the body’s tissues over time. The tissue most commonly affected is the heart. In Dan’s case, amyloidosis had caused end-stage heart failure. Northwestern Memorial Hospital was the greatest place in the world for me to be. A heart-liver transplant is not common. Although this was the first heart-liver transplant at Northwestern Memorial Hospital, the hospital has a robust transplant program with the right specialists in place. Dan spent four months in the hospital awaiting a new heart and liver. He spent his days with a psychologist, occupational therapist, physical therapist and dietitian who worked to prepare him for the surgery and recovery. His care team, meanwhile, had their own preparations to make. This type of intricate surgery had to bring together multiple teams to help ensure Dan had the best possible outcome. Dan’s care team was ready. From social workers to clinicians, more than 200 individuals played some role in this groundbreaking surgery, helping Dan navigate every step from preparation to recovery. The procedure was a success. “Several physicians as well as other team members played a crucial role in Dan’s success story,” adds Dr. Ghafourian. Dan credits his family’s support for helping him take the journey day by day, especially his wife Vickie. “She was there for me every day,” he says. He still gets choked up when he speaks about his team of providers. “I just hit it off with Dr. Ghafourian. To me, next to my father, he’s the greatest man I’ve ever known. He saved my life,” he says. Inspiring stories from four Northwestern Medicine volunteers. 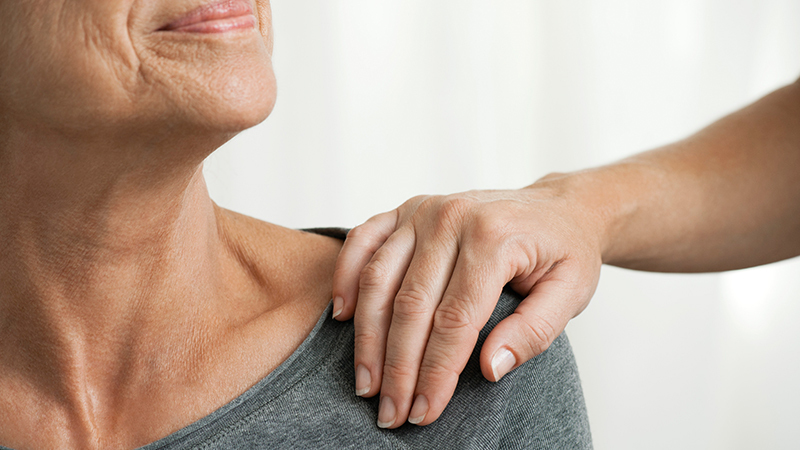 Parkinson’s disease affects the voice. 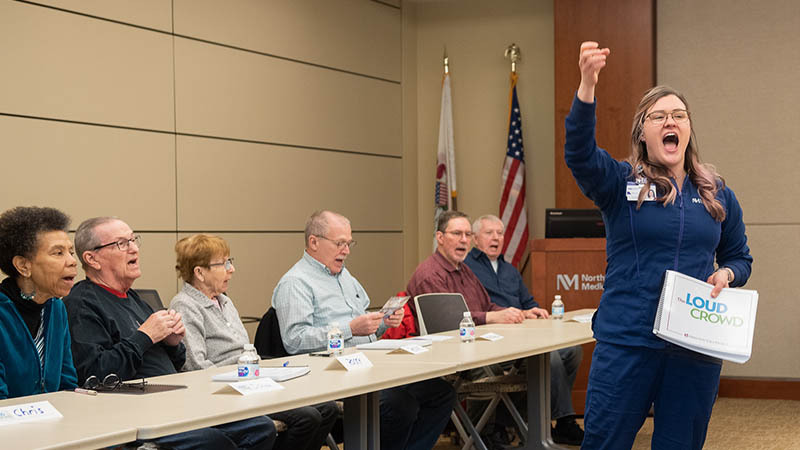 A special program at Northwestern Medicine brings patients together to get loud. 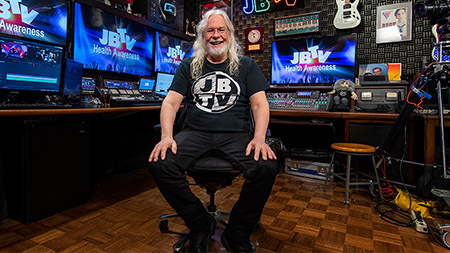 Jerry Bryant’s love of music won him an Emmy. It also helped him through his journey with stage 4 colorectal cancer.